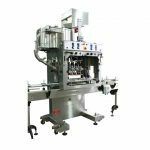 The filling line from the bottle machine, liquid filling machine, capping machine, aluminum foil sealing machine, round bottle adhesive labeling machine. 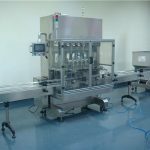 AT-L-type in-line filling machine is a microcomputer (PLC) programmable control, photoelectric sensor, pneumatic execution in one of the high-tech filling equipment. Widely used in fruit juice, soy sauce, vinegar, mineral water, medicine, chemicals, detergents, disinfectants, lubricants and cosmetics such as liquid filling. Filling measurement accuracy, no bubbles, no drip. 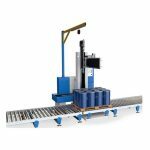 Can be applied to 40-1000ml various bottle shape (including shaped bottles) filling. 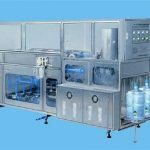 1. the machine is suitable for filling the different specifications of the container, in a few minutes to switch filling specifications. 3. replace the filling specifications without adding equipment, just make adjustments can be completed. 4. the user can choose according to their own production capacity to determine the number of filling the number of filling. 5. touch-type operation of color, can display the production status, operating procedures, filling methods. 6. each filling head with a card bottle device, to ensure that the injection of accurate positioning. 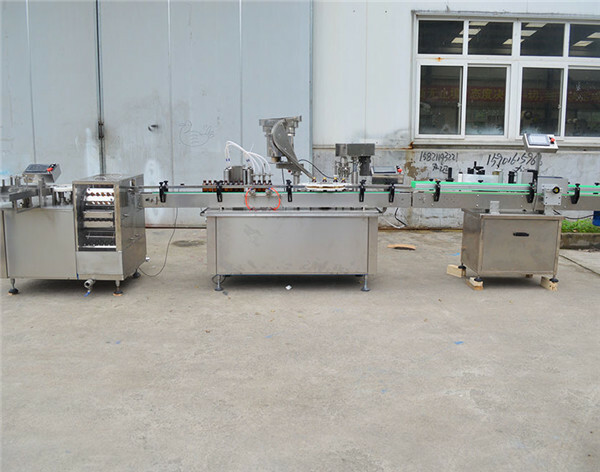 1. the design of the use of linear packets into the bottle, the way the bottle, so that filling function expansion, all forms of containers, can be in the equipment effective filling. 2. the choice of international advanced gas filling valve, to ensure that the filling process without dripping, no birth. 3. a strong PLC software support, can achieve the ideal filling operations. 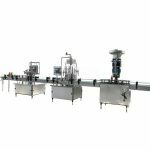 1. filling the use of fixed flow channel parameters, control the filling time, to achieve different measurement of filling. 2. pneumatic valve filling the precise time can be set to 0.01 wonderful, can make the measurement accuracy control in ± 1% error range, reduce unnecessary material loss, improve user economic benefits. 3. the measurement of each filling head can be individually adjusted to achieve the same metering filling. 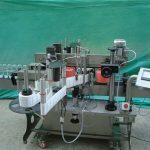 4. the machine set the bottle count program, no bottle, the count is not in place not filling, only when the counter records the number of bottles and set the number of filling bottles only when the beginning of filling. 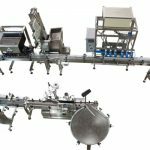 5. filling the amount of how much can be transferred to the required filling volume, and then fine-tuning, you can get the ideal filling measurement accuracy. 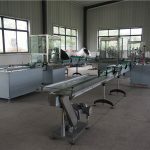 The machine adopts frequency conversion speed regulation for rotary motion, which makes the bottle enter the conveyor belt under the action of the rotary tangential force, and the packaging production line to achieve the purpose of saving labor and improve the efficiency of the application for the container range of 50-1000ml glass, plastic Bottles, polyester bottles and so on. The main parts of the machine made of high quality stainless steel, in line with GMP requirements. 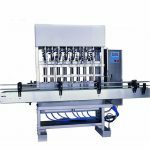 The machine is based on the experience of domestic and foreign capping machine, based on the current screw cap diversity, the design of the universal capping machine. the bottle, the lid changes, no need to replace the accessories, as long as the equipment can be adjusted, and screw cap high pass rate, speed, easy operation and maintenance. 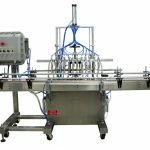 As the screw cap wheel from the drink device, so to ensure that the screw cap in place, but not too tight, damage the lid; attached to the two sets of folder bottle belt institutions, standing instability of the bottle or high bottle is also applicable. The equipment is equipped with aluminum foil removal device, no aluminum foil cover in the cover before being automatically removed to ensure that the aluminum foil in the cover rate of 100%. 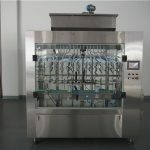 The main parts of the machine made of high quality stainless steel, in line with GMP requirements. Vertical labeling machine using advanced roll paste labeling, the use of computer fiber control, synchronization tracking, the standard by the stepper motor or servo motor control, automatic detection of container and label size, and automatic positioning and other advanced features to ensure that labeling Synchronization, precision, automation. Host microcomputer control, touch large LCD panel, display and built 10 sets of memory devices, is the modern advanced mechanical and electrical integration equipment. Stand-alone use optional delivery (received) tray, can also be directly connected to the production line, with excellent and reliable performance. Can also be equipped with a printer to complete the label printing. Self-adhesive labeling machine is easy to clean, not mold, after labeling beautiful, solid, will not fall off their own, high production efficiency. This series of models using 304 stainless steel and anodized by the processing of high-grade aluminum alloy, in line with GMP standards for medicine, cosmetic, food and other industries automatic container labeling.